The award-winning Horrible Histories™ is back and as revolting and rotten as ever! 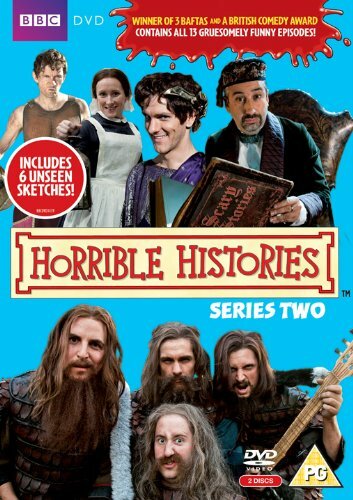 Created by some of Britain’s finest comedy talents, Horrible Histories™ tells children all about the best bits of history and brings them to life with brilliant sketches, songs, cartoons and quizzes. Rattus Rattus and the gang are back with all the favourites, including Stupid Deaths, Historical Wife Swap, HHTV News and Ready Steady Feast along with fantastic new features, Historical Detective D.I Bones, Vincenzo Larfoff with his Scary Stories, Historical Fashion Fix and Historical Desktops.